You somehow managed to pack your entire home up after you purchased one of the new houses for sale in NJ, yet packing a suitcase for a month-long holiday is still confounding, right? Believe it or not, a survey of over 1,000 Americans conducted by Cheapflights.com revealed that 81 percent think they’re good at packing. Of course, how many of those are actually going on an entire month’s trip? Odds are, probably not that many. 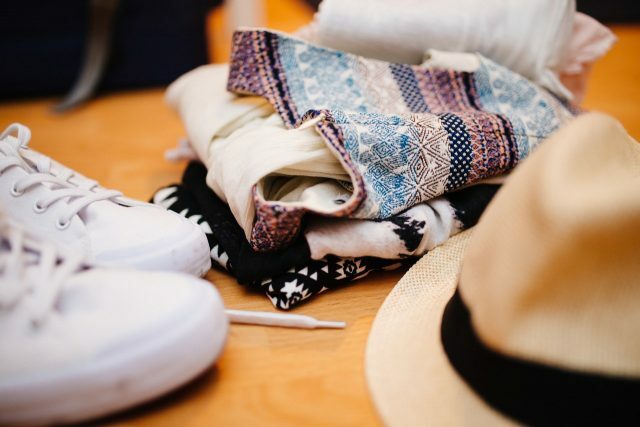 Here’s how to solve that dilemma and pack the right way for that exciting lengthy getaway. The right suitcase can make all the difference. You don’t want something so big that it’s going to weigh you down, making travel a lot more difficult. Think durable, lightweight and medium-sized, like the Delsey Luggage Helium Aero Expandable Trolley, which is affordable at around $125, yet easily to handle, scratch-resistant and not only has spinner wheels, but an adjustable handle that makes even the tightest-packed suitcase simple to pull. There’s lots of room inside, and it also expands so that you can bring those souvenirs back too. Shoes take up a lot of room, so ideally you should stick to two pairs. One that’s comfortable for walking around as long as you need to, and another a bit dressier for nights out on the town. Use them to stow things like smaller electronic devices such as phone chargers and socks to save space. The most efficient clothing includes layering options so that you can switch things up without bringing too many different items. Accessories like scarves and different jewelry can serve the same purpose without taking up too much room. Focus on clothes that doesn’t wrinkle easily – you don’t want to spend a lot of your time ironing during your vacation and irons aren’t always available either. Also consider where you’ll be staying, many hotels and Airbnb accommodations have laundry facilities, which means you may not need as much clothing as you think. Even if they aren’t, you can always bring individual packets of laundry soap, wash some items in a sink and hang them to dry. A water-resistant, hooded jacket may be essential depending on your destination. Pack that last, laying it over everything in the suitcase just before shutting it which also helps to keep items in place. Roll as many soft clothing items as you can, and then stick items that are stiffer and accessories in between as well as utilizing shoes. Rolling can save a ton of space while preventing wrinkles too. Don’t clutter up your suitcase with a ton of toiletries. Bring enough to last about a week, you can always replenish those at your destination. Bringing a month’s worth is sure to take up a lot of room, and there’s a good possibility of leakage, one of the worst things that can happen is getting shampoo, toothpaste and the like all over your clothes. Use individual zip-locked bags for those items or a good cosmetic case.